The story follows a young lawyer, Arthur Kipps, who is ordered to travel to a remote village and sort out a recently deceased client’s papers. 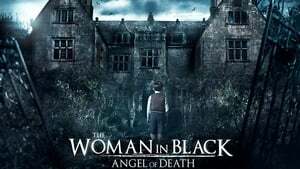 As he works alone in the client’s isolated house, Kipps begins to uncover tragic secrets, his unease growing when he glimpses a mysterious woman dressed only in black. Receiving only silence from the locals, Kipps is forced to uncover the true identity of the Woman in Black on his own, leading to a desperate race against time when he discovers her true identity.